Time to get festive! These cute heart bake cups are sure to take your cupcakes up a notch. 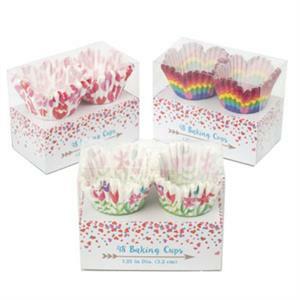 This set includes 48 mini food-safe, fluted paper baking cups, so you can bake and serve tons of adorable mini cupcakes for your guests. Simply place in a muffin tin and fill with your favorite batter to dress up your cupcakes.